We provide the latest innovation for prescription sandals, designed to give you comfort, stability and control for your feet. Custom made sandals are especially useful those with long term foot problems such as bunions, arthritis or swelling. For those who normally wear orthoses inside a shoe, it is always difficult in the summer or in a warmer climate, to continue to wear orthoses whilst trying to wear a cooler shoe such as a sandal. 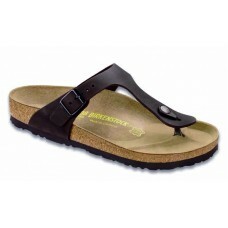 Customer made prescription sandals are designed to correct and realign your posture and gait. They work in a similar way to braces to straighten teeth. Bones, joints, muscles and tendons can be realigned to improve your gait (the way you walk) and significantly reduce pain and increase mobility. After a thorough biomechanical assessment of your posture and gait, your clinician will help design your prescription through the use of 3D laser scanning, and give you a choice from a range of custom made sandals, including Birkenstocks. Prescription sandals with integrated prescription Orthoses, enable you to live free of pain from various foot and lower limb problems, stay fashionable, and enjoy the summer months and trips abroad. 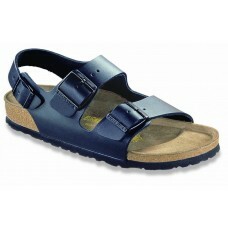 Our range of specially made prescription sandals is shown below. Please note these items are individually made to your exact specifications and cannot be ordered directly from our website. Please contact us directly today to make an appointment, to discuss your specific requirements. 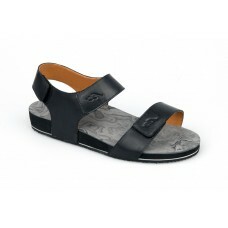 The Gizeh is a thong style sandal with a leather upper for casual or formal attire. The classic foot.. The Milano is an adjustable back strap sandal with a leather or nubuck upper. The classic footbed is.. The Arizona is a classic adjustable two strap style sandal with leather, suede or nubuk uppers. The .. The Granada sandal is an adjustable two strap sandal with a nubuck upper. The classic footbed is man..
Hawaiian flipflops are a unique selection of custom made sandals from Langer. Manufactured from a hi..
Molokai offers superb ‘shoe-like’ support. 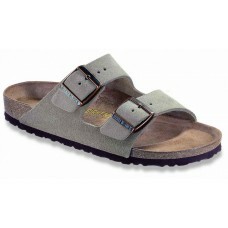 Manufactured from a high quality EVA footbed, each sandal..